Girls Freshman Basketball · Feb 19 Freshman Girls Basketball Defeats Marshall! Any girl interested in playing basketball next year, please meet in Mr. Tingle’s room on Tuesday, April 24th at 10:47. Grades 9-12. Girls Freshman Basketball · Feb 23 Freshman Girls Basketball Defeats Northwest to End Season 13-1! Girls Freshman Basketball · Feb 22 Freshman Girls Basketball Defeats Harper Creek! 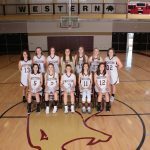 Multiple Teams · Nov 15 Girls Jr. Panthers – Starts Saturday! Multiple Teams · Nov 3 High School Girls Basketball Try Outs! 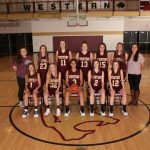 Multiple Teams · Oct 25 9th – 12th Grade Girls Basketball! CONDITIONING WEEK: Oct. 30th-Nov. 3rd 2:45-4:15 Bring good running shoes and water – See you there! TRY-OUTS November 6,7,8 If you are getting new shoes, please get white. All Athletes must have a current physical on field to try out! 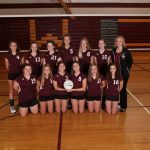 Multiple Teams · Oct 11 8th Grade Gold Defeats Northwest!